Originally a Dutch Potship the current owners have done a great job at looking after her. We believe she was originally converted to a private vessel in the 1960s, and had extensive work undertaken in the 1980s and a refit in 2012. Some pitting was discovered during her last survey in 2012 and so she has been over-plated on her midships. The boat looks in great condition, very clean and organised, and one of a small number of boats I have been on that have so much natural light available pretty much everywhere. She has given her current owners many years of happy cruising including some tidal areas. The current owners are selling as they have moved house, and the amount of work their new property requires combined with the distance to get to her, mean they can not spend the time they would like. If I was to take this vessel on I would probably look into extending the heads and adding a shower as there is more than enough room. There is also the option to turn the aft cabin into a double and add further berths in the saloon area. I did notice some small rust spots on deck, nothing that looked to serious from what I could see. Most of the window sills have beed replaced there are a few that still need to be done, however I couldn't notice any visible appearance of leaks. I think she is a lovely little vessel with great visibility, potential and comfort. 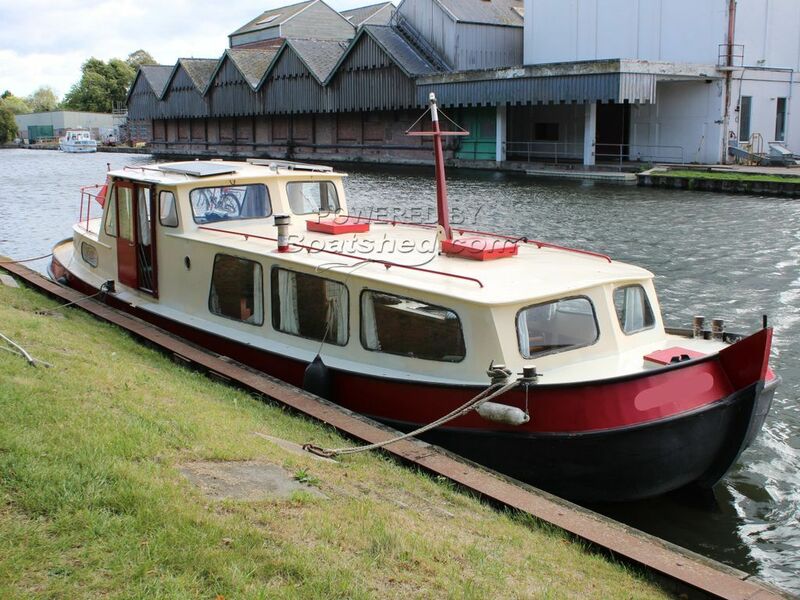 This Dutch Steel Motor Cruiser 41 has been personally photographed and viewed by Oliver Yates of Boatshed Bristol. Click here for contact details.